At the moment the world of digital marketing and web design are colliding, as there has arisen a tremendous necessity of combining ever-changing white SEO tactics of achieving high organic page rankings and positive user experience. 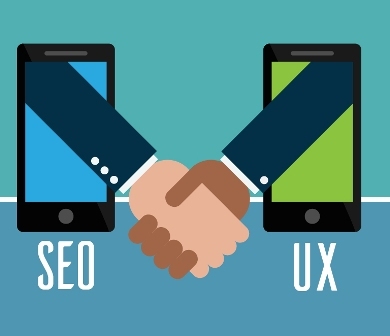 However, there is no need to be overwhelmed – there exist strategies of achieving a golden mean between SEO and UX. You need to install security plugins, because if you don’t – you might end up penalized for the lack of security on your website. Remember that users like to browse safe and fast websites. If yours is not safe of quick enough – you’re risking to lose visitors and ultimately your conversion rate will drastically drop. In order to avoid that regularly update your plugins and versions of your CMS. Websites with near 0 downtime and congestions are the most popular ones. Moreover, your organic rate will drastically drop in case users will be closing your website almost right away. Quick loading time is tremendously important for both SEO and UX, so work on it to catch two birds with one stone. Despite of what many website owners currently think, search engine bots are not only measuring relevance and quality of content, but also estimate the value of the website from a human perspective. New algorithms set forth in Google Panda and Google Penguin prevent improvement of organic traffic, obtained by grey hat or black hat SEO techniques. At the moment Google aims at appreciating quality over quantity, which is why navigation must be pleasant, helpful and intuitive. Websites that are hard to navigate are ranked lower. Use intuitive navigation techniques proved to deliver great results from SEO and UX perspectives. We all love with our eyes and it’s not hard to imagine why. Pretty things sell much better than average-looking ones. Users spend just a couple of seconds on your website and you must grab their attention while they are wandering through the pages. Your website design must be shockingly good and multifunctional with all the scripts, deeply hidden beneath the gorgeous outlook. The website must be responsive, if it’s not - you are depriving yourself of the influx of mobile users, who are considered to be an exponentially growing minority. Nowadays, responsiveness is not a question of trend – it’s a must. You want your website to be available from all the possible devices, which is why its adaptability must be a given. Considering the impact a good SEO and UX optimization has on your website, it definitely worth to spend time and resources on making them better. They are almost indispensable and regardless of how much effort you put in developing one of them, you will always be one step back to your competitors. Only making them work together you will achieve both usable and high performing website that drive huge traffic from organic search. Keep in mind that you can have your website optimized for Google and your visitors simultaneously- all you have to do is to implement SEO and UX optimization tactics that we already shared here. 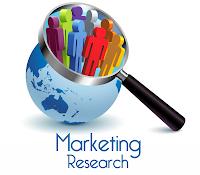 Marketing campaign cannot be properly organized without conducting a detailed market research. It’s like stepping in bathtub, without knowing the temperature of the water. Besides, you don’t need a big funding to conduct market analysis – you can always use some market research methods always at hand. Be it human or financial. 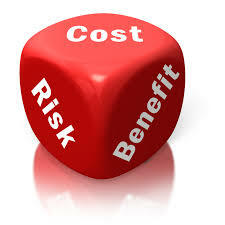 Below are a few market research methods, vital for the success of your marketing plan. You can always use the old and secure method – conducting research via e-mail. The only thing you need to keep in mind is that no one likes and no one will read and participate in a survey if it’s going to be long and tiresome. Try immediately getting to the point. In addition, you can use a lot of online tools for surveys, such as Smart Survey, Survey Gizmo, SurveyPlanet and so on. Words cannot describe what we can feel and see in person, which is why nothing beats actual conversation with your best clients over lunch. Invite them to join you for a lunch in a respectable establishment and ask them what they do and don’t like about your company. Make them say what they would like to see as additional features, what aspects they consider better than yours in regards to your competitors. You can also find out what is their favorite thing about your company and make a point of stressing this feature in your future marketing campaign. Your aim is to make them feel unique and valued. Treat their ideas like they are the best they ever had. Where can you find and discuss the latest news of your industry? On social media of course! Forums and chats are used by users to discuss the best and the worst features of this or that company. Register as a user and try to discuss your company. You will get a lot of valuable information on the subject. You’ll find out what customers value in your company and what needs to improve. Social media will provide a better scope on the image of your company in the wide row of companies from your industry. Use this as one of the basic market research methods to get precious feedback on your company. If you want to hear the real opinions about your business, you should definitely make use of Google Alerts. Using it will give you a chance to receive updates anytime someone mentions the name of your company online. Just imagine how much you’ll learn of what the competition and customers think about you. In case your business is dealing with corporations or some major companies – take time to visit them in person. Nothing beats the pleasure of personal attention. Not even phone calls. Visiting clients will help you create an image of caring and attentive to its customers company. This is how you win a positive reputation and build long-lasting relationships. Asking your clients for feedback is a sort of personal interaction. It creates the impression that you truly care about their opinions, suggestions and wishes. Ask your clients to leave feedback for services and/or products on your website. If you receive one and the same advice over and over again – you’ll know for sure what you need to improve. It’s also important to keep in mind that issues aren’t a bad thing (that is if they are small and can be easily solved). Research shows that customers are more satisfied with those companies that handled their small issues with products or services quickly and efficiently, than with those, where they had no issues at all. This happens because in case there is no issue– there is a doubt in competence of the company to handle it quickly and efficiently if there appears one. That's our list of market research methods which proved their effectiveness in designing successful marketing campaigns. Do you know other techniques? Let's discuss them in the comment section below! Marketing is a cornerstone of every company's success, which is why it’s crucial to thoroughly plan time and resources that you can allocate for it. In case you’re a startup and don’t have much funds and free time on your hands, internet marketing can be a very tiresome task. You’ll have 2 choices: either to research marketing campaigns and try to create one yourself or to hire freelancers as they’ll take much less money and time.You can also hire a local agency, but that’ll cost you pretty penny and may not yield the desired results. If you choose to stick to your guns and create marketing campaign by yourself, you’ll need to look through a couple of qualitative tutorials on the matter and decide which strategies are affordable and suitable for you, disregarding the rest of them. However, if you o with freelancers, check out popular freelance websites, such as Guru or UpWork.com You’ll be able to find various people, offering to create a magnificent campaign for you. Always remember that there is a connection between price and quality of work, so in case you hire someone for $5 per hour that work won’t make you happy. Go for the middle because thus, you may find a talented individual or agency that will be able to build a strong and efficient marketing campaign for you. If your business if well-established and flourishing, it’s only natural that you hire a big team of marketologists. They won’t be limited by budget and will be capable of exploiting every possible way of advertising. 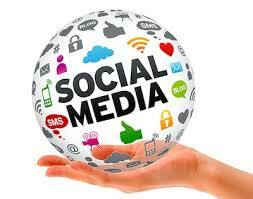 However, if you’re a startup and your resources are limited – digital marketing outsourcing is a good idea. It will allow you to find people, who are competent in what they do, but are ready to work for a smaller sum than those professionals, whom you can hire locally. When you are looking into such freelance websites as Guru.com or UpWork.com, chances are that lots of people will bid on your project no matter the deadline. Naturally, there will be not only those, who can truly accomplish your project with a decent quality and within the set deadline, but also those, who bid on everything, regardless of their abilities. You can quickly weed them out by looking through their portfolio, giving them a small task and see how are their results. Besides, price can also indicate the level of knowledge, a person, who is a professional in his sphere of work will never agree to work for a small sum. The difference in time zones opens magnificent opportunities: for example, if you’re located in the US, but hire someone from Germany – they will work, while your business is closed. Thus, if there exists any kind of problem and you want it fixed overnight, just hire freelancers from the opposite part of the world and the job will be done, while you’re sleeping. It’s a huge advantage that needs to be exploited. In case you know nothing about marketing and have no time to learn about it – digital marketing outsourcing is the right solution. Why would you spend the precious time, necessary for the development of your business, on something utterly uninteresting for you and time consuming. Delegating this work to professionals is a much better option. 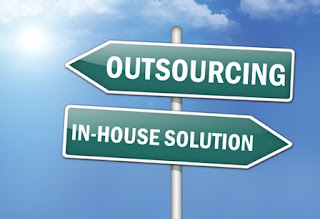 In time, freed by outsourcing you will be able to create new services, products or work on perfecting the existing ones, increasing the revenue and possibilities of hiring an entire digital marketing team. It’s only natural that you will have to share a portion of your confidential information with freelancer or freelance team you’re hiring. Information like that may contain company’s secrets. This is the main reason why you need to examine the team you’re hiring thoroughly and draw up a contract for work, where this will be indicated. It’s not a secret that some freelancers or freelance agencies may furnish their portfolio with the items they didn’t create. It’s extremely disappointing, especially if you’re hoping that the result of their work on your project will resemble clean lines and strong skills you saw in their profile. This is the main reason, why you should always choose freelancers or agencies that have their personal website, where their works are displayed. Thus, you’ll know for sure that the works, they’re showing are real. When you’re located on the other part of the world from your employee it’s not a secret that you’ll experience problems in communication. There are less chances for talking via Skype, which is why your only option is e-mail. This may lead to a row of problems: for example if your employee needs to get your feedback on certain elements of your marketing campaign and you’re not available. Carefully analyze the pros and cons of Digital Marketing Outsourcing before making up your mind. If there’s anything you can do in-house and you have the right skills and time, then maybe it’s worth to give it a try. If not, start researching digital companies.